Note: This is a slightly edited version of a review that was originally published in the journal International Socialist Review, Issue 104, Spring 2017. The recently published book, “Trotsky in New York 1917: A Radical on the Eve of Revolution”, by Kenneth D. Ackerman, has much to offer the reader. It also has some serious problems. Before getting to those let me discuss why the book deserves a place on the shelf of anyone interested in the life and ideas of Trotsky, the history of Marxism in America, New York at the time of the First World War and the Russian Revolution. Ackerman’s book is the first full length account of a brief though crucial period in the life of Trotsky, his 9 weeks in New York prior to his return from political exile to Russia in 1917, where he would play a decisive role in the October Revolution. Previous accounts of Trotsky’s stay in New York were scattered in personal memoirs, contemporary newspaper accounts, and a few magazine articles with a very specific and narrow focus. (One such article went to great lengths to track down the identity of a wealthy Bronx resident who befriended Trotsky’s family.) Trotsky’s own account of his stay in New York consisted of a few pages in his autobiography, My Life. These few pages contain some precious insights and anecdotes but provide few details and make no assessment of the impact of his intervention into the politics of the radical movements in New York. Ackerman has performed a sterling job in bringing all this material together and creating one coherent narrative of this period. In the course of his research he has also uncovered a number of previously unknown facts about this period that fill in many of the gaps. More important, the restoration of a previously fragmented historical narrative allows us to gauge the political significance of Trotsky’s impact on the history of Marxism in the United States. It turns out that Trotsky’s intervention in the factional struggles then emerging in the Socialist Party over America’s entry into World War I would play a decisive role in creating the nucleus of a left wing opposition that would later go on to found the Communist Party. This requires a radical revision in the historical understanding of the birth of American Communism, one that future historians cannot ignore. A boxer, who is also a novelist and a cousin of Oscar Wilde, confesses openly that he prefers crashing Yankee jaws in a noble sport to letting some German stab him in the midriff. Ackerman tells us that the “boxer” Trotsky mentions was a larger than life adventurer named Arthur Cravan who later published his reminiscences of his encounter with Trotsky. It was not by accident that Cravan left a lasting impression on Trotsky. It turns out that this colorful figure really was related to Oscar Wilde and he really did fight a match with ex world champion Jack Johnson. After arriving in New York Cravan became associated with the Dadaist movement, but he quickly burned his bridges with the avant-garde scene in New York. He moved with his wife, the poet Mina Loy, to Mexico in 1918 and shortly after that disappeared at sea while trying to navigate a small sailboat to Argentina. The day Trotsky arrived in New York, he was given a hero’s reception. Both the New York Times and the New York Tribune sent reporters and featured a story about Trotsky on their front page the next day although he was still little known to English speaking readers. To the East European immigrants he was something of a celebrity. They knew of him from his days in the leadership of the 1905 Russian revolution and his subsequent trial. 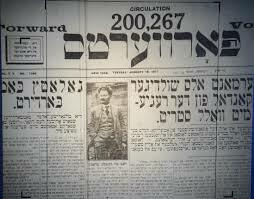 He was featured on the cover of the mass circulation Yiddish newspaper, the Jewish Daily Forward the next day. The German language and Russian language papers also carried stories about this hero of the Russian Revolution arriving in America. But I must disappoint my American readers. My only profession in New York was that of a revolutionary socialist. This was before the war for “liberty” and “democracy,” and in those days mine was a profession no more reprehensible than that of a bootlegger. I wrote articles, edited a newspaper, and addressed labor meetings. I was up to my neck in work, and consequently I did not feel at all like a stranger. Ackerman’s book devotes an entire section to debunking many of the legends surrounding Trotsky’s time in New York, including the anti-Semitic legend that Trotsky was being financed by wealthy Jews as part of a plot to take over the world. Such legends, fed by White Guardists and other reactionaries, mushroomed after the Russian Revolution. It is interesting to note that very similar conspiracy theories have resurfaced in recent years, especially since 9/11. Ackerman’s account of Trotsky’s activities in New York reinforce Trotsky’s own characterization and fill in many details. The main focus of the book is Trotsky’s conflict with the conservative leadership of the Socialist Party of New York. In 1917 the Socialist Party in the United States was on the cusp of becoming a major political force, challenging the iron grip of the two capitalist parties, the Republicans and Democrats, who had defined the political physiognomy of the country since the Civil War. In the Presidential election of 1912 the Socialist Party candidate, Eugene V. Debs obtained over 900,000 votes. Socialists were elected to Congress and won local and state wide positions in dozens of cities throughout the country. The Socialist Party was particularly strong in New York where it played an influential role among the vast immigrant communities that came from Eastern and Central Europe in the previous two decades. The immigrant communities that supported the Socialist Party vastly out-numbered the native born socialists, a situation very different than that in the rest of the country. New York’s foreign-born comprised a full 30% of the white population. 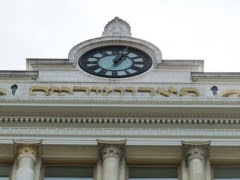 The largest of these groups were the Yiddish speaking Jews from Eastern Europe. New York had no less than 6 Yiddish daily newspapers at that time, the largest and most influential being the Jewish Daily Forward which had a circulation of over 200,000, rivaling the circulation of the New York Times. 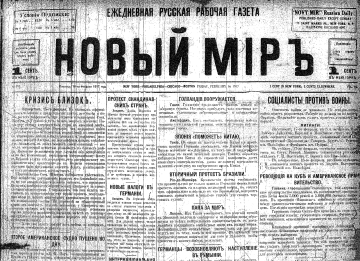 There were in addition to the Yiddish newspapers, 4 daily newspapers in Russian, 3 in German and several other foreign language dailies. Many of these newspapers had a left wing and socialist orientation. In addition to the pro-Socialist Forward, the German language New Yorker Volkszeitung had as its editor in chief Hermann Schluter, a one-time personal friend of Marx and Engels. The nominal head of the Socialist Party in New York was Morris Hillquit, an immigrant from Latvia who assimilated into American society and became a successful lawyer with a plush apartment on Manhattan’s Riverside Drive. To his credit Hillquit often took on cases for little or no compensation to defend working class victims of ruthless employers and the state. He was the official attorney of the Amalgamated Clothing Workers Union. When the government began their attacks on the socialist press after America entered the war, Hillquit defended journals like Novy Mir and The Call from war time censorship and suppression. Hillquit also had political ambitions and in the 1917 election for Mayor of New York, received 145,000 votes, 21.7 % of the total cast in a three way race. But although Hillquit held genuine socialist convictions, he was no revolutionary. Hillquit was a “pragmatic” politician, a reformist socialist of the type that could be found in the right wing of the German Social Democratic Party prior to 1914. The big issue facing American socialists at that time was opposition to the preparations by the Wilson Administration to enter the European War on the side of Britain France and Russia, a threat that was becoming ever more concrete in the early days of 1917. 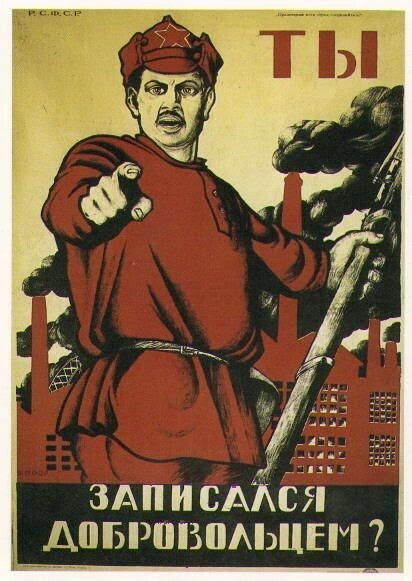 The immigrant communities in New York, who comprised the bulk of supporters of the Socialist Party, were fervently opposed to America’s entry into the war, not only out of deeply held socialist convictions, but also fueled by their hatred of the Czarist regime in Russia, from whose pogroms many had fled. Hillquit and the Socialist Party leaders in New York were opposed to American entry into the War but their opposition went only so far. They refused to advocate mass action against the war should the U.S. enter the war. They made it clear in their policy pronouncements that although they opposed America’s entry into the war, they would be loyal patriots should it come down to that. Although he had never met Hillquit prior to arriving in New York Trotsky knew the type he represented very well. He was the embodiment in America of the social patriots he had met in Vienna and Paris. Men who gave sterling speeches against war only to be caught up in the fever of war and patriotism once war broke out. Trotsky always considered the social patriots beneath contempt and by 1917 had come very close to Lenin’s position that in case of war between imperialist countries, it was the duty of socialists to turn that war into a civil war against their own bourgeoisie. It was thus inevitable that Trotsky’s arrival in New York would signal a confrontation between him and Hillquit. Ackerman depicts a series of meetings and rallies in which this conflict was played out. This begins with a meeting in the Brooklyn apartment of Ludwig Lore, then the editor of the German language socialist paper the New Yorker Volkszeitung. It was at this meeting, arranged on the day after Trotsky’s arrival in New York, where Trotsky first met the leaders of what would become the left wing opposition within the Socialist Party. Besides Lore, Trotsky met for the first time the young Louis Fraina. Also present at this gathering was another person who would go on to play a pivotal role in the left opposition in the Socialist Party, the lawyer Louis Boudin. Of the Russians present, besides Trotsky, there were the future Bolshevik leaders Nikolai Bukharin, Alexandra Kollontai, Grigorii Chudnovsky and V. Volodarsky. To the assembled guests Trotsky soon laid out his position – that the left in the Socialist Party should organize itself independently of its conservative leadership in New York and be prepared to challenge them on the all important war question. Bukharin and Trotsky, while agreeing on fundamentals, disagreed as to tactics, with Bukharin advocating an immediate split while Trotsky insisted that the left opposition would be more effective working within the Socialist Party. They eventually agreed not to advocate a formal split but to launch an independent journal that would speak for the left. Fraina was immediately inspired by Trotsky’s ideas and would go on to become his main advocate and protégé in America. Trotsky and Fraina struck up a personal friendship and began to collaborate from that day. He went on to ask why had the Socialist Party agreed to share the stage with these “bourgeois priest-like pacifists”? While Trotsky refrained from laying the responsibility for this on Hillquit by name, the target of his ire was unmistakable. Thus began a conflict whose culmination would only come in August 1919, long after Trotsky left New York, when the left wing of the Socialist Party formalized their split and formed the Communist Labor Party at a convention in Chicago. Trotsky finally confronted Hillquit in person when he and Louis Fraina were invited to participate in the Socialist Party’s Resolutions Committee to draw up an official statement on the policy towards the war. 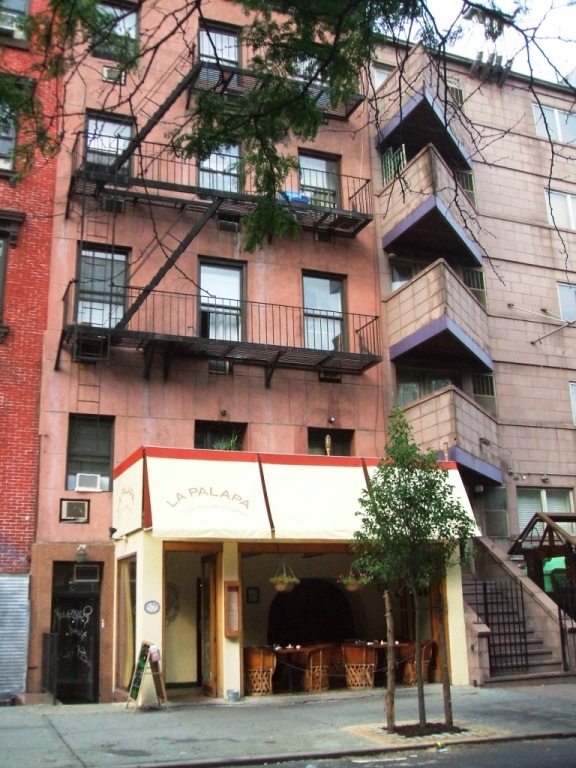 The Committee met at the Socialist Party offices in a townhouse on East 15 Street in Manhattan. Hillquit soon learned that there would be no compromise with Trotsky and Fraina. It became clear that Hillquit and his supporters could not accept a resolution that denounced any support for “national defense” and in the event of mobilization for war called for “mass action” opposing war. Hillquit had the majority and his version of the resolution – a mild statement against war but also leaving room for support for the war effort should it be mandatory – passed. Trotsky and Fraina were allowed to present a minority report. The battle between these two factions continued to be played out in other venues. The two conflicting resolutions were brought to a vote of the entire membership in early March at the Lenox Casino, a building in Harlem often rented by the Socialist Party for large meetings. At this meeting, Fraina argued for the minority resolution among the 200 or so delegates that managed to make it in the face of a blizzard. The final vote was 101 to 79. This close vote, showing that Hillquit’s control of the Party was tenuous, emboldened the opposition. Ackerman also captures another meeting in Cooper Union that March featuring the most prominent Socialist in America, Eugene V. Debs. Debs had heard of Trotsky and specifically invited him to join him on the stage for the meeting. This was the only time Trotsky met Debs. It is not known what they discussed if anything of substance, but Trotsky does recount that when Debs saw him he “embraced me and kissed me.” In his speech Debs made it clear – without mentioning names – that when it came to the conflict between Hillquit and the Trotsky-Fraina group, he stood solidly with Trotsky and Fraina. As did another leader of the Socialist Party from the west, the future founder of American Trotskyism, James P. Cannon. Did he [Lenin] roll his eyes at the story? Or maybe stifle a laugh? How typical of Trotsky, Lenin must have thought, this Menshevik straddler with his “sheer false pride”, who always it seemed, had to interfere and insist on winning an argument, even in America. Another example of unwarranted speculation can be found in the following characterization of a certain Mr. Alexander Weinstein, a Russian businessman possibly connected with British intelligence. Ackerman writes on page 106 that “Alexander Weinstein, [was] possibly a relative of Gregory Weinstein, editor of Novy Mir.” Yet on page 199, he writes, that “Alexander Weinstein, [was] the likely relative of Gregory Weinstein, the editor of the radical Novy Mir.” How did the very guarded “possibly” on page 106 become the far more assertive “likely” on page 199? It’s a minor point of course and something a good editor should have caught. Ackerman does little to hide his disdain for Trotsky’s radical stand against the war while expressing sympathy for Trotsky’s moral courage. But ideas do matter. For Ackerman it is self-evident that practical politicians like Hillquit had the better approach! The fact that these very questions had been bitterly debated within the international socialist movement for decades and had been the subject of much theoretical work by Lenin, Trotsky and others never enters Ackerman’s narrative. 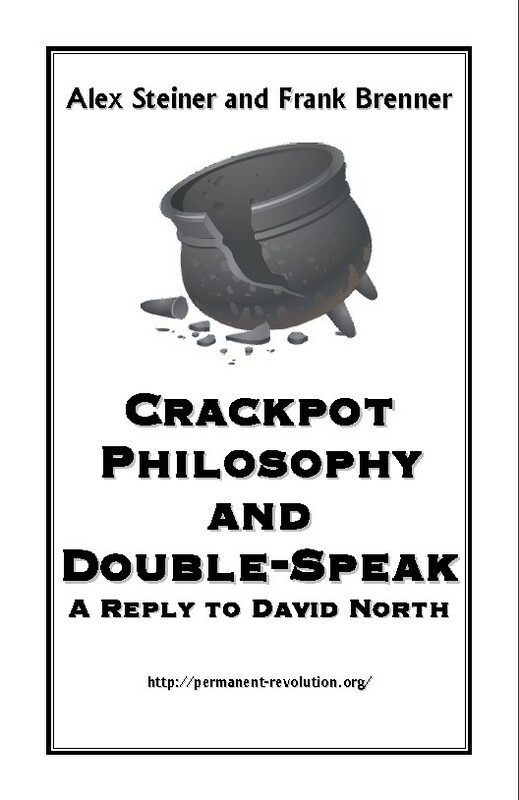 While Ackerman, to his credit, does try to present the ideas of others with whom he disagrees, his disdainful approach trivializes those same ideas. 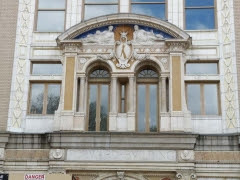 On a final note, Ackerman writing of the Forward building as it exists today, having been sold by the Forward publishers some years ago, explains that while the bas-relief portraits of Marx, Engels, Ferdinand LaSalle and Friedrich Adler still grace its imposing entrance, it is now a luxury apartment building where the least expensive apartment goes for a million dollars. Ackerman is not unaware of the irony. Manhattan has changed mightily since 1917, as has the political climate of America. 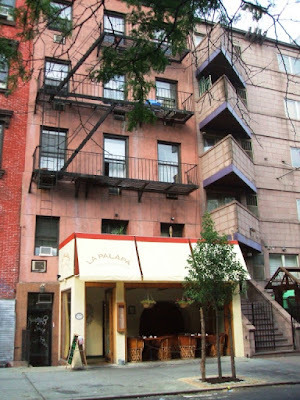 Another example is the current status of 77 St. Marks Place, whose basement once housed the offices of Novy Mir, where Trotsky and Bukharin worked. You can today rent a three bedroom apartment there for $5,000 per month. That is not considered high by Manhattan standards. 77 St. Marks Place today where Novy Mir had its offices in 1917. This speaks volumes about the changed circumstances we face today. The culture that nurtured a lively socialist movement in the United States 100 years ago has disappeared along with the wave of radicalized immigrants and American workers that supported it. That culture needs to be rebuilt in a very different environment today, when once again the threat of war is looming. 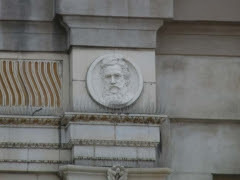 Image of Marx on the Forward building's facade. New York Call, January, 26, 1917. Quoted in Ackerman, 82. Great overview, Alex! By the way, the movie "Reds" covers some of these same events with Louis Fraina and John Reed within the Socialist Party, and with the formation of the Communist Labor Party -- and the split between Reed and Fraina. 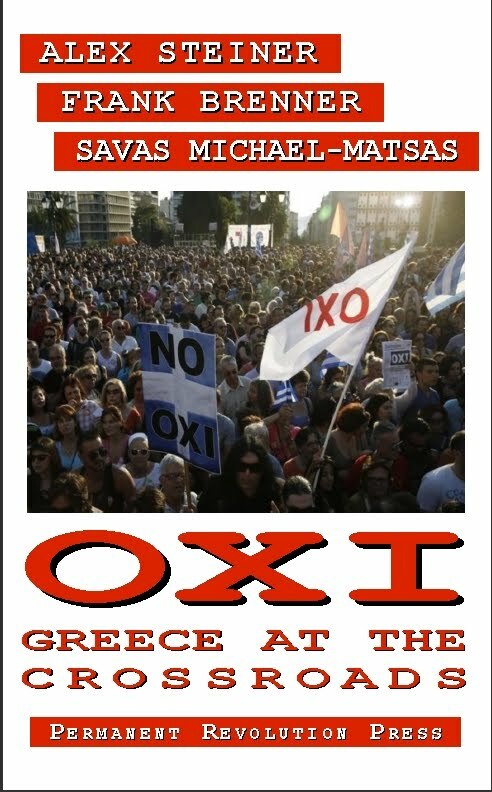 "The Socialist Revolution is coming to Europe and America must be ready when it comes. Socialists were caught napping when war started but they must not be nodding when revolution comes." That brief statement opens onto a major issue in the Left for over a century: What is the role of a socialist party, particularly one that fancies itself a vanguard party. The socialist revolution is coming. Socialists must be ready for it when it comes. That doesn't sound as though Trotsky had yet absorbed the Leninist arguments that the socialist party catalyzes the revolution, helps to organize it. His picture -- at least as evidenced in this early 1917 quote -- is one of a revolution coming from ... from where? So what does Trotsky intend for the socialist party to do, here? Given those circumstances -- which differ significantly from Lenin's view as well as Rosa Luxemburg's (who sees more of an interplay between the party and the spontaneity of mass movements) -- does Trotsky at this stage in his political development formulate a set of principles for how the socialist party is to engage with the socialist revolution, which is coming, he implies, from outside of the involvement of the Party? Thank you for an excellent review. I learned a number things that I hadn't ever really studied or investigated. Which books would you recommend for revolutionary history in the United States? Mitchel, interesting thoughts! Cannon also wrote his own first hand account of the origins of the Communist Party, The First Ten Years of American Communism. There is also the book I referenced in my review, It didn't happen here by Seymour Martin Lipset and Gary Marks. It is largely a history of the Socialist movement in the U.S. There are many other books as well, dealing with the the origins of Marxism in the U.S. One of the more recent ones that comes to mind is Paul Buhle's Marxism in the United States: A History of the American Left. There are in addition many other books dealing with specific topics such as the labor movement in the U.S. One that comes to mind is Art Preis's Labor's Giant Step. I think the Trotsky in New York book fills in some important gaps in our understanding of the history of Marxism in the U.S. while providing new insights into Trotsky's contribution to that development. Thank you for your thorough answer. Most of the books you mention are available free of charge on the www. My evenings have been filled with interesting reading. If other readers haven't read through your recommendations I warmly encourage this.